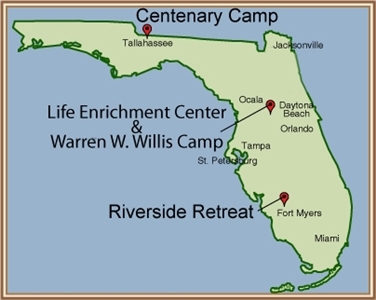 The Florida Conference operates camps and retreats near Tallahassee, Leesburg and LaBelle. Some camps already are taking 2014 summer camp registrations. For information, visit www.flumcamps.org and click on the link for the site nearest you. You won’t need to check weather reports or air out your sleeping bag to go Camping Sunday. Just head to church and be ready to pray or pay, or both, to help a young person in need. United Methodist churches this month will be asked to participate in the third annual Camping Sunday campaign, with donations earmarked for scholarships to send children and teenagers to a Florida Conference summer camp, even if they can’t afford it. New this year is the convenience of using a cell phone to donate. Those who wish may text FLCAMP to 56512 to make a donation. People also can donate by writing a check to “Florida Conference Treasurer” and designating “Camping Sunday” in the memo line. “I can tell you story after story about kids who are changed” through the camping program, said Rev. David McEntire, who has chaired the Board of Camps and Retreats Ministries for two years and volunteered at the camps as far back as 1977. For 60 years, campers have formed lifelong friendships, met future spouses and, in some cases, discerned a call to ministry, McEntire said. Camping Sunday materials, including a bulletin insert, poster and DVD with the theme “Just Imagine,” will be mailed to all churches in the conference, starting today. Church leaders can also download materials by visiting www.justimagineumc.org. Officially, Feb. 23 is designated Camping Sunday. But some churches may opt to highlight the materials on a different Sunday. Donations of any amount will be welcome, said Mike Standifer, director of Camps and Retreats Ministries. For those interested in sponsoring a young person for a weeklong residential camp this summer, the cost ranges from $300 to $395, he said. The main idea behind the campaign, though, he said, is to spotlight the importance of United Methodist camps and retreats in changing lives by strengthening young disciples’ relationships with Christ. Azariah Pinkston, 15, who is active in Neighborhood Ministries at First UMC, Lakeland, said last year was her fifth summer camp experience at the Warren Willis site. She said she enjoyed archery, canoeing and sailing, as well as indoor activities like yoga and cooking. Her favorite part of the camp experience is worship time led by a live praise band. Also important to her was "sitting on a dock with others to talk about God and read Bible verses." Young people find it easier to worship and pray when they're immersed in a Christian camp setting, Pinkston said. "When you're surrounded by people who really love God and support you, you're more comfortable doing that," the young woman said. "I felt loved and cared for." Every year, thousands of children and teenagers flock to Florida United Methodist summer camps that blend outdoor activities and fellowship with worship and prayer opportunities. Photo from Warren Willis Camp. Historically, 300 to 325 of the conference’s nearly 700 churches typically send at least one child or youth to one of four camps operated by the Florida Conference during the year. Most popular are the summer camps, which saw more than 4,000 children and teens participating in 2013. Standifer said worshipers in congregations without young people to send to camp can still have a part in keeping the camp ministry alive for future generations through Camping Sunday. Funds raised through this month’s campaign will be added to the apportioned funding for scholarships, Standifer said. Summer programs at Florida Conference camps in northern, central and southern Florida include worship and prayer time, along with fellowship, instruction, sports, crafts and recreational activities. The Camping Sunday idea began in 2012 as an effort to pay for needed capital improvements at the camps, most notably the renovated Barnett Lodge at Warren Willis Camp near Leesburg. 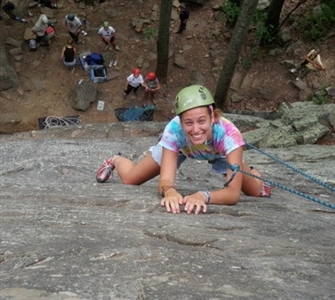 This year is the first that Camping Sunday donations are designated for camp scholarships. McEntire, now senior pastor at First UMC, Lakeland, said he first visited Warren Willis Camp in 1977 as a youth ministry director and became hooked on watching the transformation of people’s lives through the camps and retreats program. He has seen several young people start as campers, become part-time camp staff members and go on to work in Florida United Methodist churches, including in ordained ministry. He remembered a young camper from an abusive family who found refuge at the Florida United Methodist Children’s Home. “I watched that young lady move from what could have been a wreck of a life to someone … who is a stable adult, who has provided well for her own children,” McEntire said. In his years of association with the camping ministry, McEntire said he has watched innovations in technology and comfort make the conference camp sites more attractive for young people. Yet participants’ core experiences remain the same.